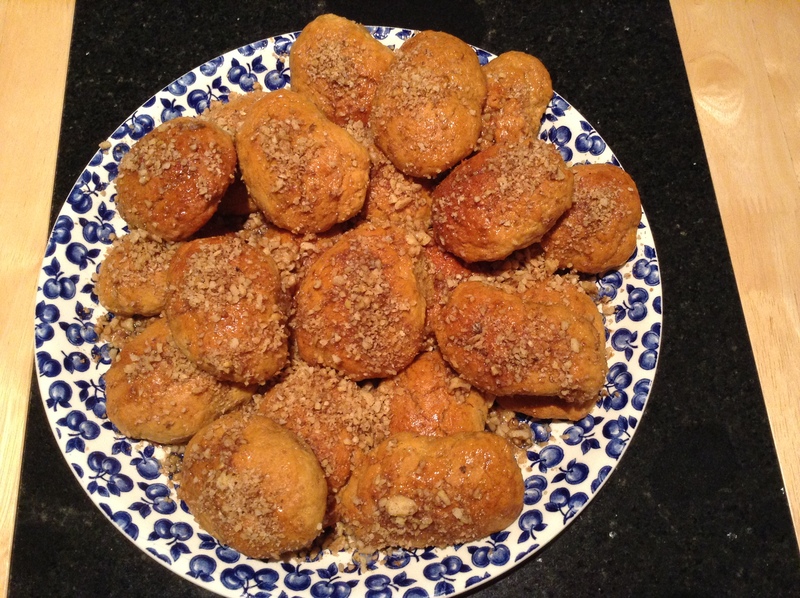 For me, Christmas in Greece equals two desserts: Kourabiedes, which featured on my blog last week and got me an order from as far as Greece (!!) and Melomakarona, or walnut syrupy biscuits. So this week I decided to try my hand at the latter, to the delight of my Greek hubby. I had made them before, the first year we were married but must have used the wrong recipe as I found them hard to get right and stopped making them! Kali orexi, as the Greeks you say! Should be dead easy, Iva, it’s only the egg yolk you need to leave out! Your hubby must be really happy when you cook Greek food.